Doppler Photo: Photos and stories by Omari Stephens: ARE YOU HERO, OR ARE YOU PRINCESS? 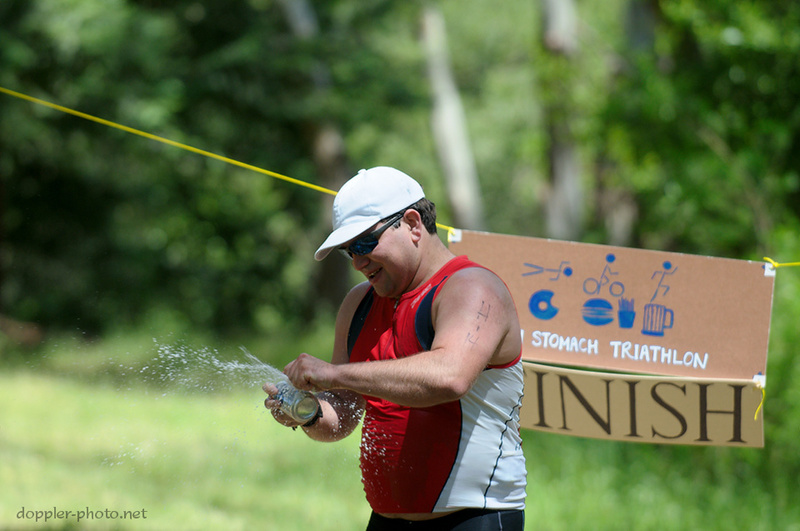 Last month, my friend Mimi invited me to the 3rd annual Iron Stomach Triathlon, held at Berkeley's Tilden Park. There were three competition classes, Hero, Princess, and Relay. The order of events was simple: swim, eat donuts, bike, eat burgers, run, drink beer, cross the finish line. The rules were also simple: you throw up, you're disqualified. Hero competitors were tasked with 4 Krispy Kreme donuts, 1 double-double (with fries) from In-N-Out, and 2 PBRs. Princesses had 2 Krispy Kremes, 1 single-single, and 1 PBR. Relay teams went parts on the Hero food challenges. You can find all of the images here. Also, click on any image below to jump to that image in the set. GO! 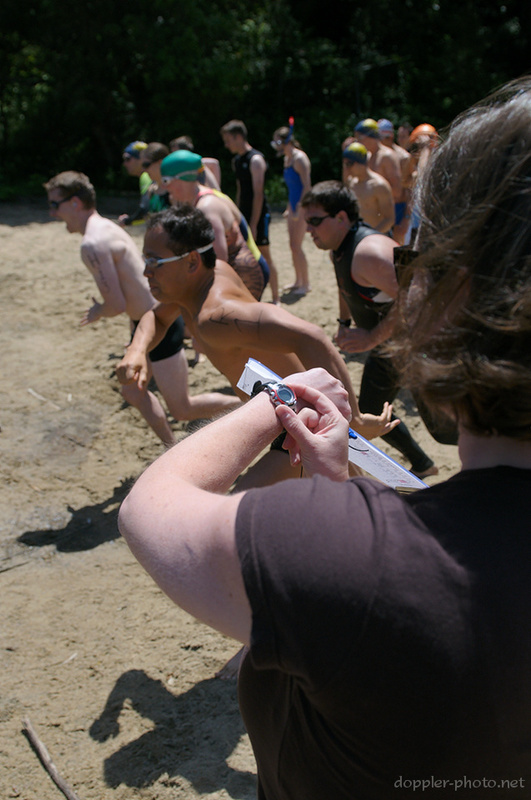 The competitors start running toward Lake Anza for the swim as the timer starts her watch. Competitors work on downing their burgers between the swim and the bike ride. Rudy Ramirez, one of the Hero competitors, gets ready to shotgun his second PBR before crossing the finish line. He was by far the most enthusiastic about drinking the beer after the run, and he demonstrated the only proper way to spew beer before the finish without getting DQed. For the folks who hadn't had enough (or were watching rather than competing), there were two rounds of donut eating after the triathlon ended. This would have been pass interference, but the ref was looking the other way. Don't forget to check out the rest of the photos here. Don't forget that they had to eat an order of fries with the Hero category double-doubles!